Pay-Per-Click (PPC) advertising is a marketing method that will put your website into prime internet real estate for thousands of potential customers to see. It is the quick fix alternative to the long game of SEO, but of course it comes at a price. It’s this price that puts off many small business owners. While you only pay for the clicks that your ad gets, it can seem like a lot of money to spend, especially when you’re up against huge international companies with mega budgets that are always likely to outbid you. So how can you get the most out of a paid ad? The solution is in the strategy—particularly the targeting. A PPC campaign targeted to your specific local area can be one of the most powerful tools in your digital marketing armory. A targeted #PPC campaign can be one of the most powerful tools in your digital marketing armory. In this post we will demonstrate the value that local PPC can have on your business, then show you exactly how to implement it. PPC is the practice of paying for placement in search engine results pages. You create a search listing (complete with title, URL and description) and set a budget amount for every click that you receive. Bidding low can keep costs down, but the placement of your ads will suffer as competitors bid higher for the better spots. Bidding high is relatively safe, as you will only pay $0.01 more than the closest bidder – for example, if you bid $0.70 and the next person bids $0.50, you only pay $0.51. PPC ultimately comes down to a simple equation: the cost must be outweighed by resultant income (e.g. by referral sales). 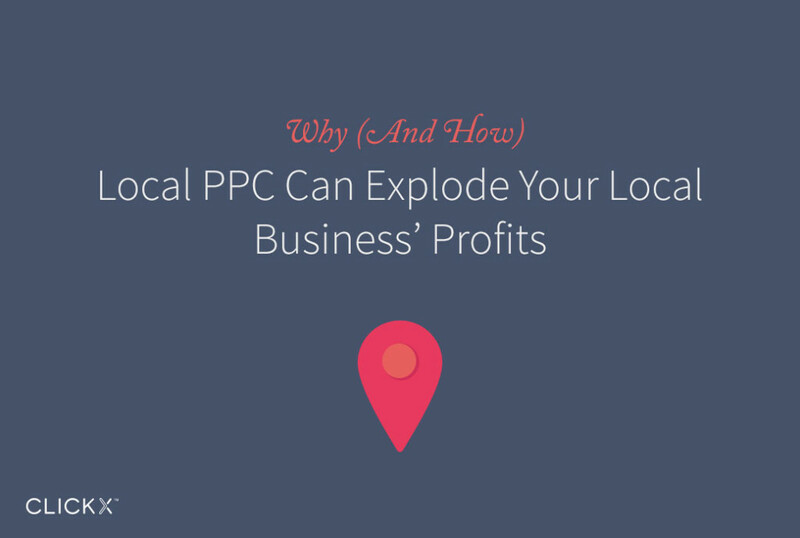 That’s why local PPC can be so powerful for small businesses – it can reduce costs while maintaining (or even boosting) income. As a small business, it’s unlikely that everyone in the world needs to see your ad. On the contrary, ubiquity could be a bad thing for your business. For example, if you only serve customers in Chicago, there is no benefit to be gained (and only money to be lost) from searchers in Miami clicking on your ad. By narrowing down your target area, you naturally thin out the competition for the ad space, which increases the likelihood of you winning top ad spots. Furthermore, in a localized area, you will be competing against fewer large, national companies with big budgets putting in high bids. By keeping the big boys out of the equation, you’re likely to pay less for the clicks you gain, meaning your budget will go further within your campaign. Limiting your ad’s exposure geographically not only means that the people who see it are more likely to be interested; they may even see it multiple times over time and gradually familiarize themselves with your brand. Google AdWords is the most prominent supplier of PPC ads, so I will use that service as an example of how to target your campaign. AdWords offers many geographic targeting options. You can search for a specific area—for example, Chicago—and it will add the location to your targeting options. You can also choose radius targeting if you want to include the surrounding areas of a city. It’s also possible to exclude areas or add a list of locations in bulk, if for example you only serve major cities. It won’t necessarily be immediately clear what area(s) you should target, as the scope of your services may not clean cut. If this is the case, consider checking demographics in Google Analytics to discover which areas are best represented by visitors to your site. A Google Trends search for ‘cute jewelry’ shows which parts of the country may be best for targeting with this kind of business. One of the biggest benefits of local PPC over SEO is that it can provide immediate results in terms of conversions. While SEO is a long-term process which organically draws in audiences by displaying value to the internet as a whole, paid advertising fires you straight to one of those top spots on Google (if you bid high enough). In fact, if your SEO is already good enough, your site could appear twice: Once as an ad and once in the organic rankings! Having immediate results can be of tactical benefit for certain times of the year and/or to coincide with events. For example, if your business sells winter clothes and a cold snap is due to hit, taking advantage of local PPC would be wiser than waiting for the slow-burning process of SEO. That aside, immediate results make split testing of your ads a relatively speedy process. Make changes to the title text and your description, gather results, pick a winner, then rinse and repeat. While I keep saying that local PPC is a quick-fix alternative to SEO, the two can work surprisingly well hand in hand. Most powerfully, customers who click through to your site from a PPC ad may then move to other parts of your website, become familiar with your brand, and possibly even recommend, review or link to you. Moreover, this outcome is arguably more likely with a local SEO campaign, as your content is likely to be more appropriate to visitors. If you have a highly usable site that offers engaging content, the ultimate result of any local PPC campaign you run can be long-term passive benefits in terms of reviews, links and brand recognition. While it may seem an attractive prospect for everyone in the world to see your website by creating paid ads with no restrictions, doing so is not advisable on a limited budget. On the other hand, targeting your PPC campaigns to your local area not only makes sense in terms of your budget and where your business can physically reach, it can actually offer a more positive outcomes than the more expensive option. In other words, keep your focus local and you’ll benefit from a greater return on investment – both now and in the future. If you have experienced success with local PPC campaigns, let us know about it in the comments section below!